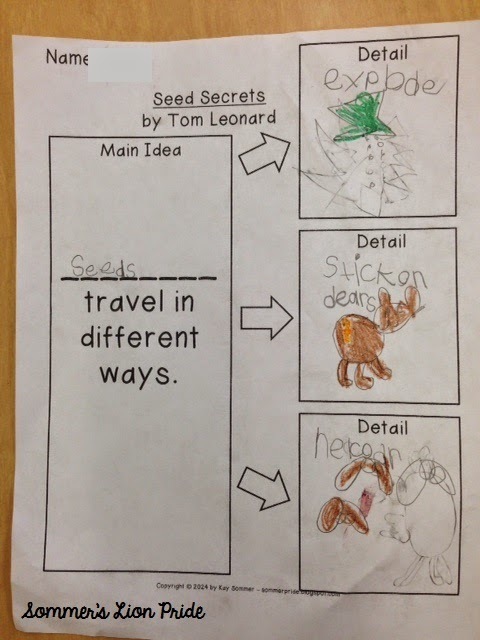 Our book for the week was Seed Secrets. 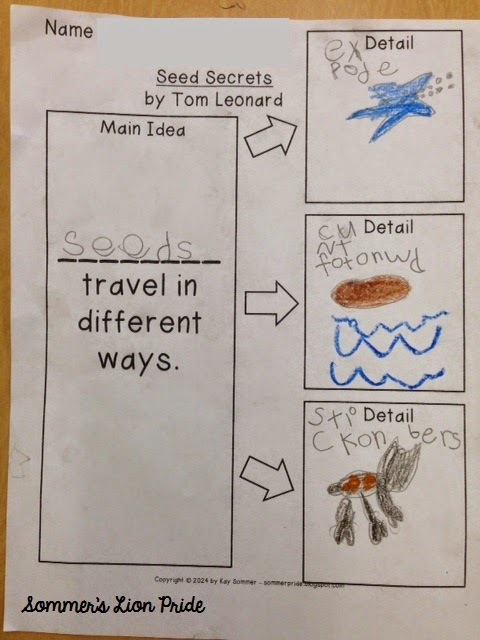 After reading, we discussed the main idea and supporting details of the book. 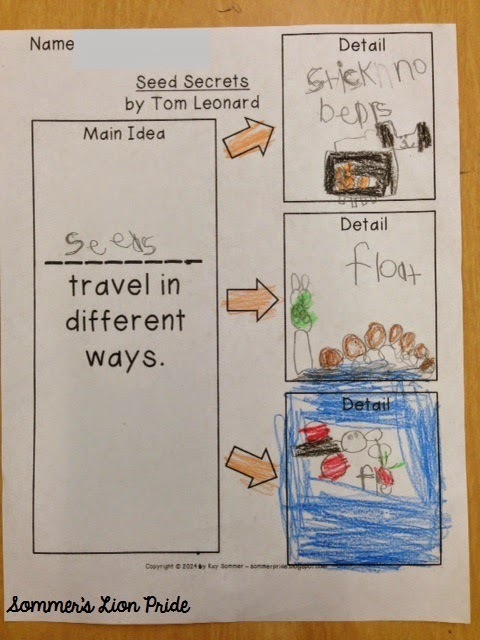 We created a chart together and then the students worked on their own charts. "explode, coconut float on water, stick on bears"
"stick on bears, float, fall"
"explode, stick on bears, helicopter"
I brought in a coconut this week! We learned from the book that a coconut is one of the largest seeds in the world and that it can move by floating in water. So we explored!!! We shook it (to hear the water inside), we talked about the rough texture on the outside, and we figured out if it really would float. I found this great video that showed how to easily open a coconut and I decided to attempt it! Cracking Open a Coconut Quickly, Easily and Painlessly from Sonia! The Healthy Foodie on Vimeo. Well...I couldn't get it to crack by using the back of a knife. So I decided to place it in a plastic bag and then smack it against the concrete outside of my classroom. That did it! I drained out the coconut water and pried the coconut meat away from the shell. We each got to take a little taste of both the coconut water and the coconut meat. And most of the kids liked them both!